Lieutenant General Campbell retired from active duty in the United States Air Force in 1985. He served in top leadership positions in the Strategic Air Command and the Pentagon from 1975-1985. Bill Campbell was the focal point in articulating the requirements for a host of modernization initiatives that included: B-1, B-2, KC-10, Peacekeeper ICBM, ALCM-B, ACM, ASALM and SRAM II. He authored the original requirement documents for the B-2, co-authored the CV-22 requirement and participated in the development of the F-117 fighter at Lockheed’s “Skunk Works”. Bill’s earlier assignments were split between test and evaluation and operational units. Assignments in fighters, bombers and reconnaissance provided check outs in the F-86, F-100, F-101, F-104, F-106, F-4, YF-12A, SR-71, B-47, EC/KC/RC-135, T-33, T-38, and T-39. He has logged over 6500 hours in these and other aircraft; with almost 800 hours flown in the “Blackbirds”. Since 1985, he has remained active as a consultant to Northrop, Lockheed Martin “Skunk Works”, Pratt and Whitney, and Boeing. He has also served on the boards of Martin Marietta, Reflectone and Texstars. From 1990-1995, he was the Vice President, Air Force Programs at Burdeshaw Associates, Ltd. In Bethesda, Maryland. Most recently, he led an outside review team of some 60 people for Boeing’s KC-46A winning proposal for the new USAF Tanker. Major General Patrick Halloran entered the Air Force in 1949 from his home in Minnesota. He received his wings and commission through the Aviation Cadet program in 1950. He spent his first 7 years flying F-84 jet fighters from bases in Georgia, Maine, Oklahoma, England, Alaska, Puerto Rico and Japan. He also flew 100 combat missions in the F-84 over North Korea in 1952. In 1956 he was selected in the first group of pilots to fly the new U-2 high altitude reconnaissance aircraft for the Air Force. He flew from overseas operating locations for over 8 years, accumulating over 1600 hours in that plane. He was then selected for the cadre of the new Mach 3 SR-71 Blackbird aircraft that he flew for almost 8 years and in which he accumulated over 600 hours. He was the wing commander when he left that program. 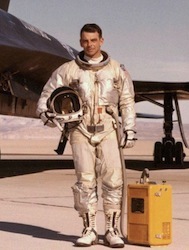 He flew missions over Cuba in the U-2 and over Viet Nam in both the U-2 and the SR-71. He has been active as a private pilot for many years and has over 12,000 hours of total flying time. He was inducted into the Minnesota Aviation Hall of Fame in 2006. He lives in Colorado Springs, owns a Lancair experimental aircraft, and is actively involved in the Experimental Aircraft Association (EAA). Colonel Richard Graham started his flying career as a teenager, soloing out at age 17. He entered the Air Force in 1964 and flew 210 combat missions in Vietnam flying the F-4 Phantom. 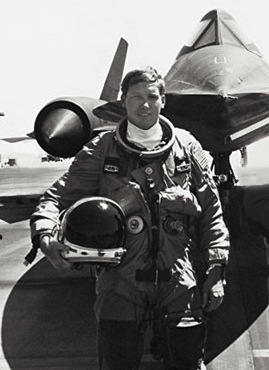 He then flew the SR-71 Blackbird for seven years on operational reconnaissance missions. 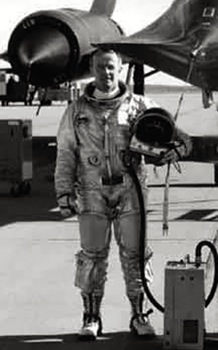 He was Squadron Commander of the SR-71 unit in 1980 and eventually became the Wing Commander at Beale AFB, California, where he flew the SR-71, U-2, KC-135, and T-38 aircraft. Among his awards and decorations includes 4 Distinguished Flying Crosses and 19 Air Medals. After 25 years in the Air Force, Col. Graham flew 13 years for American Airlines. He retired in August 2002 as a Captain on the MD-80 aircraft. He has accumulated over 12,000 flying hours. Rich remains active as an author, speaker, aviation consultant, flight instructor and Civil Air Patrol pilot. 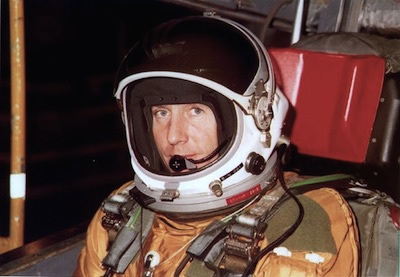 He has written three books, “SR-71 Revealed, The Inside Story,” “SR-71 Blackbird: Stories, Tales and Legends” and his latest book “Flying the SR-71 Blackbird.” He was the 1999 recipient of the University of Nebraska’s William F. Shea Award for his distinguished contribution to aviation. In 2005 he received the Kelly Johnson Award for his lifetime achievements to the Blackbird program. Lieutenant Colonel Bernie was born and raised in Antioch, IL, and commissioned in the USAF in1969 through the ROTC program at Coe College, Cedar Rapids, IA. His initial assignment following pilot training was to Vietnam flying the C-123K. He was a Pilot/Instructor in the B-52D and FB-111A prior to the SR-71A/B. During his AF career his awards included the Distinguished Flying Cross and the Air Medal with Ten Oak Leaf Clusters. He retired from the AF in 1989 as Chief of Standardization and Evaluation for the 9 SRW, Beale AFB and joined American Airlines.